JAVA. APIs. C++. Ruby. No, your computer isn’t experiencing a glitch. But if it was, Latore Price might be able to help you. Coding has a language of its own and Latore happens to be fluent. Latore started learning web design when she was nine years old, and since then has continued to learn different coding languages and has even designed mobile apps. When she was in college, she designed and built a case brief app to keep track of the cases she read for her law courses. Over the years, Latore has found that coding is a process that combines laser-like focus and creative expression. While some dislike coding for that exact reason, it happens to be why Latore finds it so thrilling. The smallest typo or error can ruin an entire application and hours of work. Creating something from nothing but an idea is very satisfying. Seeing the metamorphosis of a blank screen into hundreds or thousands of lines of code is rewarding. But hitting the command/execute function and seeing the application come to life is exhilarating. Latore sees many parallels in her corporate practice as she works on complex transactions. Starting with a blank screen and seeing deal points take shape, knowing it’s a path to closing a transaction, requires the same level of dogged attention and brings the same sense of satisfaction when complete. Latore Price practices in the area of corporate law. 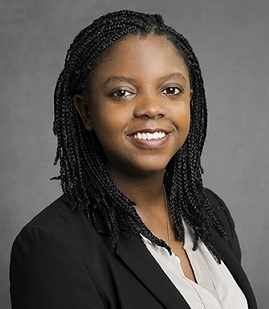 Ms. Price is a 2016 graduate of New York University School of Law, where she was a member of the Journal of Intellectual Property and Entertainment Law, and a 2013 graduate of the University of Central Florida. Represented Minn Shares, Inc. in its securities exchange and change of control transaction with the members of Titan CNG LLC, a compressed natural gas services business based in Minnesota. Upon consummation of the securities exchange, Titan became a wholly-owned subsidiary of Minn Shares. Represented Hill International, Inc. (NYSE:HIL) in the sale of its Construction Claims Group to a UK-based PE firm for $147 million. Represented Sterling National Bank in a $12,024,766 construction and permanent loan to 1815 West Farms Associates, LP for the development of a 81 unit affordable housing project in the Bronx, NY. Represented Sterling National Bank in a $11,560,000 construction loan to the Johnson and Miller Limited Partnership for the development of an affordable housing project in Newburgh, New York. Represented BakerRipley (formerly Neighborhood Centers, Inc.) in connection with the development of a Community Center in Houston, Texas through the Federal New Markets Tax Credit program.